The original scope-of-work was a renovation of a 50’s auto dealership into commercial office/retail space evoking the feeling of a European market in the classical tradition. The exterior is dominated by a high glass barrel vault at each street entry, and a green metal awning extending over the entire storefront. 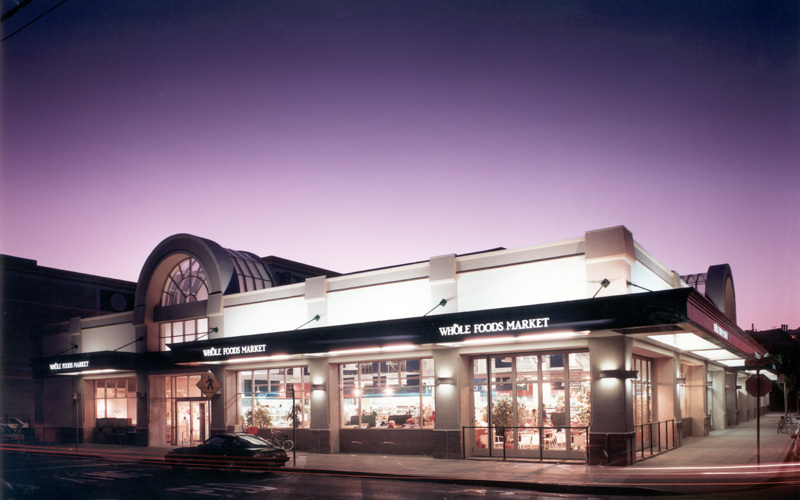 Extensive seismic upgrading was required, and interior restrooms, exit corridors and handicap access were added with Whole Foods Market as the final tenant.